"Dem Abgang einer Mure gleich schiebt sich der Wein doch gleichzeitig so unmerklich und gewaltig wie ein Gletscher über unseren Gaumen. Sein Geschmack hält für die Dauer der Lektüre eines guten Romans an. Mindestens. Gedenkminute einlegen. Glücklich ins Bett fallen." "This offers a drop-dead gorgeous core of cassis and raspberry pâte de fruit flavors that hold center stage but still allow notes of Lapsang souchong tea, anise, incense and shido leaf to chime in. Very long, with a sublime feel through the mineral-tinged finish. So seductive already, but this should cruise in the cellar. Drink now through 2040." "Red robe. Has a sweet, red berry fruited nose that is open, on the go, open as in open for now, before its close down. There is evident ripeness, airs of strawberry, flowers, spice. The palate moves along with squeezy content, prominent strawberry fruit, and floral, soft tannins and a late burst of clarity. It has a weave of tannin through it – it’s a straight down the line wine at heart, and its tannins leave a menthol effect. It’s interesting – it will evolve with bursts of opening and closing, going up and down. There is very bonny, perfumed juice within. Bottled April 2017. “The tannins are silken. The phenolics were very ripe, and it’s a good Mourvèdre vintage. It helped not to filter, only fine the eggs with egg white one year before bottling,” Vincent Avril. Drink now to mid-2018, then from 2024. 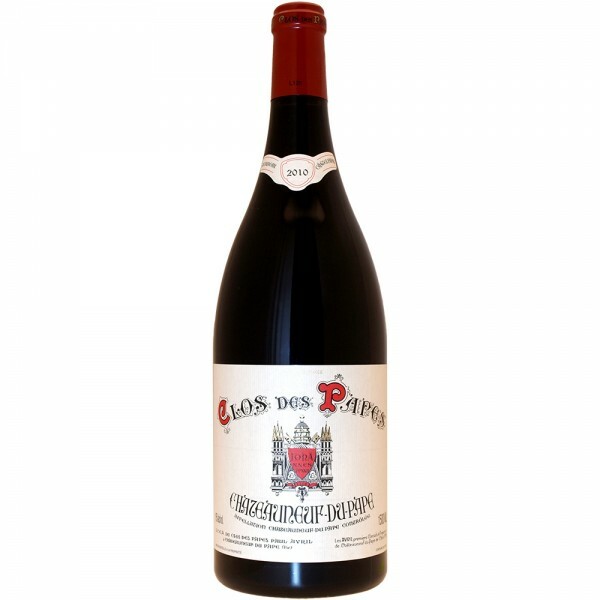 2039-42"
"The 2015 Chateauneuf du Pape is reminiscent of a slightly improved 2005 and has a fresh, classic style with beautiful concentration, notable freshness, first-rate tannin quality, and the classic spice and sweet red and black fruits this cuvee is known for. I suspect this beauty will close down relatively quickly after bottling and take 5-6 years to show at its best, but it will drink well for 15+ years." Zitat J. Livingstone-Learmonth: "Gold standard estate, joy to taste only one red, one white, so good blending is crucial. The yields are always very low – not much more than 20 hl/ha, which serves to concentrate the red wine, and there is an above average emphasis on the Mourvèdre, all planted in clay soils. The blend is now usually 55% Grenache, 30% Mourvèdre, 10% Syrah, 5% various including white grapes, having been 65% Grenache, 20% Mourvèdre, 10% Syrah, 5% various including white grapes into the early 2010s. The 2014 red was utterly charming, a real en finesse ****(*) beauty, while the 2015 is logically a bolder, more demanding ***** wine, requiring patience. The ***** 2016 red is deep and long, a vintage that will age extremely well. The whites drink well in their first couple of years, then back off, close down, and emerge as more complex, stimulating wines around seven years' old; they live well and deserve a top table accompaniment." Kundenbewertungen für "Clos des Papes 2015"